Nickelodeon UK is ditching its famous orange splat as part of a major global rebrand. From Friday, the main Nickelodeon channel will have a new typographical logo, which will be rolled out to Nick Jr and NickToons in the second quarter this year, and eventually used in all territories. The move is also designed to skew Nickelodeon’s channels slightly older and tap into the “music generation”. He batted away suggestions that the move towards global uniformity and the January departure of longstanding UK managing director Howard Litton signalled a shift away from localised content. “Howard was very passionate about UK commissioning but the fact that he has left doesn’t mean the passion has left,” he said. Instead, the rebrand will free up cash for more UK shortform commissions and make it easier to repurpose local productions in many different territories, Drake said. Nickelodeon UK has announced plans to launch a new unified on-air and off-air branding for its major channels. The rebranding project, which starts on February 15 for the flagship Nickelodeon channel, will include a completely new network logo. Replacing the previous 'splat' symbol, the new logo will be a "simple, bold and timeless typographical execution which retains a link with the network's heritage while giving it a more contemporary feel". The branding will be implemented on the TV channel, along with all related online platforms, consumer products and theatricals. Sister channels Nick Jr, Nick Jr 2, NickToons and NickToons Replay will also take on the new logo and branding during the second quarter. Following the rebranding, the entire Nickelodeon global network will carry the same logo and on-air brand identity for the first time ever. Nickelodeon UK introduced the 'splat' in 2003 to represent "how kids felt about rules, authority and being tidy", but the new logo is designed to "work everywhere, and play well with others". "The channel rebrand signals a new global focus for the network; and an extremely exciting time for Nickelodeon," said Nickelodeon UK vice president of creative Peter Drake. "The look is fresh, contemporary and addresses the needs of our audiences in a more relevant way. This simple and succinct execution offers a consistent stamp of approval which allows our characters, brands and properties to shine through - and do the talking. It has a contemporary feel and effectively enables us to leverage the power of our brands globally." Last week, Nickelodeon UK also revealed plans to revamp its flagship pre-school mini-sites under the Nick Jr's brand to offer better structure and navigation. Nick Jr has ordered a stop-frame animation thought to be worth £4m about a little boy whose toys come to life. The 52 x 10-minute Toby’s Toy Circus is being produced by children’s newcomer Komixx Entertainment and distributed by Target Entertainment Group. It was commissioned by Nickelodeon UK vice-president and programming director Debbie MacDonald and is lined up to air in late 2010 or early 2011. Each episode of the pre-school series will begin as seven year-old Toby goes to bed and his favourite toys spring to life. Rather than sleeping, Toby forms a circus with his toy friends in which he is the ringmaster. Grandpa In My Pocket writers Jan Page and Mellie Buse are penning the scripts and key characters include a horse called Giddy and two acrobats who fall out with each other - but learn they are better off working together. MacDonald will executive produce with Target director of children’s and family entertainment Oliver Ellis. Co-production financing is still being thrashed out and a producer has yet to be named. 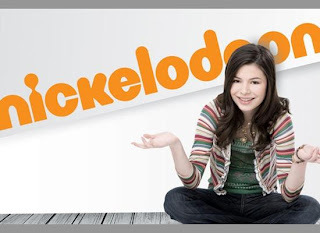 Separately, MacDonald has ruled out taking on Howard Litton’s old role as Nickelodeon UK managing director. According to UK TV Guide, Nickelodeon UK will premiere Nickelodeon's brand new Nicktoon "Fanboy & Chum Chum" on Tuesday February 16th, 2010 at 9:48am. Brand new! Meet fun's ultimate fans - the comic-book loving Fanboy and trusty sidekick Chum Chum are superfans of all things sci-fi and mysterious, with dangerously wild imaginations! You can find out more information about Nickelodeon's brand new CGI animated show "Fanboy & Chum Chum" on Nickelodeon USA's official "Fanboy & Chum Chum" website. When Nickelodeon's forthcoming series The Troop, about a secret society that battles monsters, begins in the UK in the next few weeks, its website will have a strong emphasis on mission-based gaming. For digital director Roy Edmonds, it's another example of how online properties should be destinations in their own right. "We'd like to get to the point where we're involved with shows at the earliest stage and thinking about the interactivity that surrounds that," he says. "It's not about coming in at the end and saying we need to build a website, what do we need to put on it? I want to be there at the start of these programme developments." So this year Edmond's team will be busy with 3D gaming, two-player games, augmented reality, online safety and a virtual pet project. This month sees the launch of Nick UK's first iPhone application, developed in-house to support SpongeBob Squarepants, featuring a game, short-form video and episode guides. It follows an augmented reality competition last year, created by Codegent, that asked kids to find SpongeBob cards hidden online and upload videos explaining why they were the character's biggest fan. It was part of the relaunch of the digital offering at Nickelodeon, with 2009 the 'Year of the Sponge' when SpongeBob received his own bespoke website under Edmonds' direction. Responsible for the day-to-day business strategy, production and operation of Nickelodeon's digital division, Edmonds has spent most of his career within children's online entertainment, passing through the halls of the publicly funded BBC and the infinitely more commercial entertainment giant the Disney Corporation. At both he learned that online content could achieve different goals, with the BBC being challenged by "an embarrassment of riches" and Disney creating content ultimately aimed at "pushing through to purchase". Moving to Nickelodeon in 2008, Edmonds has taken up the online responsibility for characters including market-leading SpongeBob and pretenders to the throne Dora the Explorer, Diego, and Ben and Holly's Little Kingdom. This last was revamped online by digital agency Complete Control last year to feature extra functions including games and video clips. Last year also saw the launch of a blog for 10-13-year-olds called TeeNick. These initiatives tap into Edmonds' belief that children deserve online content designed for them from the start. Some may think the entertainment of children is simply about leaving them alone with a flashing box in the corner of the room, whether that be a TV or PC. This is an antiquated way of thinking, though, says Edmonds, and in many cases, especially online, children are more adaptable and savvy than their parents. "Anyone working within the children's entertainment industry must recognise that the way children consume media is changing," he says. "There's still a distinction between what's on the TV and what's online. The key thing to remember is that today's children have grown up with all this technology so to them it's just stuff." This is something that worries Edmonds about many of his competitors, which often think of the online representation of a show's brand as an afterthought, or at best a direct representation of what's seen on TV. "It's interesting the different approaches broadcasters take in delivering online content," he says. "To some it's about cross-platform experiences, 360-degree commissioning. But at the other end there are those who think it's still just about supporting the programme brand. I think you need to have a mix of both approaches." It's a point he's evangelical about and, after 18 months at Nickelodeon, he's using this year to shift the emphasis his young audience place on online content. Fundamental to this is being involved in development from the start. This seems to be the new emphasis Edmonds brings to his department, although if you probe deeper you realise that it's children's own shift in attitude that has led to them demanding more from their online experience. "User testing is so important. It's something that since I arrived we've done more of," he says. "Kids are great fun to be around, incredibly honest and much more savvy than we give them credit for. But equally they're still children and recognising what their abilities are is important. Some things they'll fly through and others that we see as quite easy to do online they may find more challenging." The team also looks at all feedback, whether it's through the TeeNick blogs or slightly old-school email. Such involvement, Edmonds says, must be rewarded with a sense of responsibility. "I wouldn't want to do anything that in any way would put children at risk, so everything is pre-moderated and we have an incredibly thorough process for checking content before it goes live. In that sense, safeguarding the audience is an absolute priority." Along with this, he's focused on the task at hand: growing online share for the Nickelodeon brands in an ever-widening children's entertainment marketplace. So what else does he expect from 2010? Edmonds indicates that the iPhone will become increasingly part of the Nickelodeon digital strategy, due to its increasing take-up among children. "The one area we're focused on at the moment is iPhone development," he says. "A lot of that's instigated by the US office and distributed to the regions via the international office, but there's still scope for us to do something in the UK. I'm keen that whatever we do, it's because it's distinctive and delivers something besides supporting a brand." Children's network Nickelodeon UK has secured television broadcast rights to 51 episodes of Nelvana Enterprises' animated series Beyblade: Metal Fusion. The series is set to launch on NickToons in the UK in September 2010, and will join other titles in its boys' action block. Coproduced by Nelvana and D-rights, the series offers a fresh take on the original Beyblade series, with new characters. Nelvana Enterprises' VP of worldwide sales and distribution Lynn Chadwick said: "NickToons is a great broadcast platform to drive awareness of the latest iteration of the series, bringing it to the attention of a brand new audience, many experiencing it for the first time." Nickelodeon UK has revamped its flagship pre-school mini-sites under the Nick Jr's brand to offer better structure and navigation. Dora The Explorer and Go, Diego, Go! web services have already been re-launched on the main Nick Jr's site as a result of a collaboration between Nickelodeon UK and interactive production firm Complete Control. The rebrands are part of Nickelodeon UK's strategy to offer "immersive and playful" content for children by creating user-friendly online worlds around its key brands. Under the partnership, Complete Control also redeveloped three sub-subsections on the main Nick Jr's site - Shows, Fun & Games and Make & Do - to introduce more effective user interfaces. Due to the large amount of visually-led content on the site, Complete Control further created a 'super footer' text-based navigation solution to ensure optimum performance in search engines. The system has helped increase traffic to the Dora The Explorer mini-site by 457% since its relaunch. Over February, Nickelodeon UK will introduce similar revamps for the Angelina Ballerina and Peppa Pig mini-sites, along with other properties. Nickelodeon digital director Roy Edmonds said: "Creating content that truly engages children is no easy task but Complete Control has consistently delivered great creative treatments on all the projects Nickelodeon has commissioned, whilst keeping our needs as a commercial media company very much front-of-mind." Complete Control creative director Glynn Hayward added: "We needed to ensure that the refreshed content we were producing for these great brands was not just only fun and engaging for children, but also boosted the SEO and page ranking of the sites." Last month, traffic to the entire Nick Jr's website increase by 2.5% to 1,055,067 hits, with the Dora The Explorer mini-site accounting for 25% of that traffic with around 7m page views.